Promoting education and financial literacy. 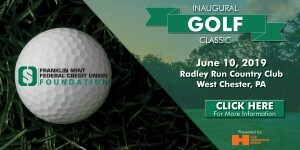 FMFCU Foundation, a 501 (c)(3), works with sponsoring organizations to support and recognize education and charitable initiatives in communities served by Franklin Mint Federal Credit Union. 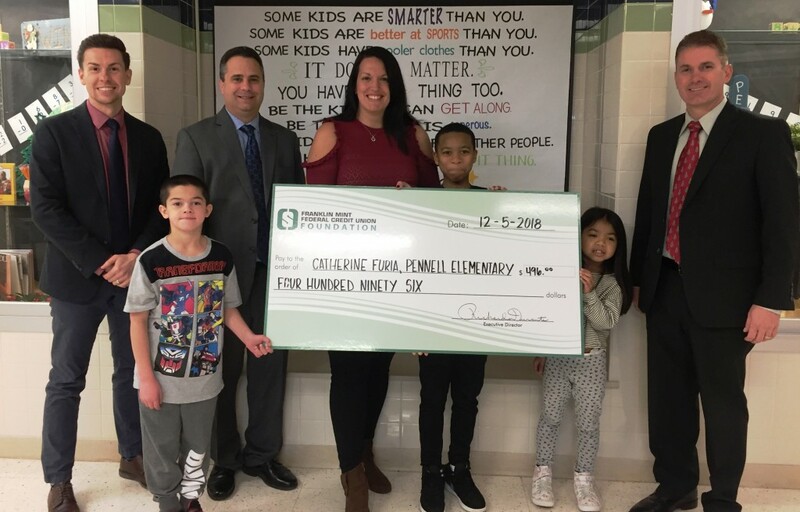 FMFCU Foundation Executive Director, Rick Durante, presents a Teacher Mini-Grant to Pennell Elementary School in Aston, PA.
We need your help to meet the ever-increasing demand for additional programs that support education and financial wellness. Businesses, organizations, and individuals can join FMFCU Foundation by making a charitable contribution. Click here to learn how your donation benefits you as well. The oldest, continuous academic quiz competition in the U.S.